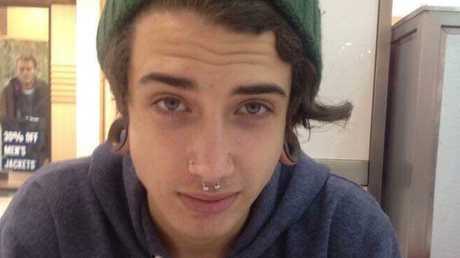 A young Australian man who went through more than 40 body modification procedures claims to be "the world's most modified youth". "I've always liked different. Different is cool, different is unique," he told Barcroft TV. "More or less I just fell in love with the way it looks and how you feel when you walk down the street and you kind of get that sense of empowerment. "People stop and they stare (and think): 'Woah who's that dude?' That's kind of neat. "I like to be a standout kind of dude that draws some attention, turns some heads. I am the world's youngest most modified youth." 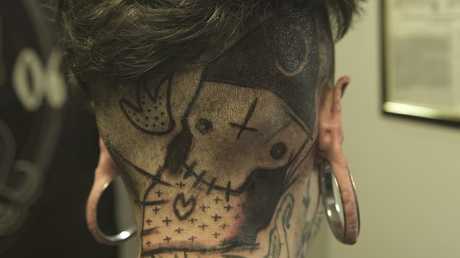 With tattoos across his body and face, Mr Bramble says he doesn't like to put a number on how many individual tattoos he has but estimates as much as two thirds of his body is entirely covered in ink. "A lot of people ask me how many tattoos on average do you have and that question irks me because once you start getting sleeves and linking tattoos up there's no number it all becomes one," he said. 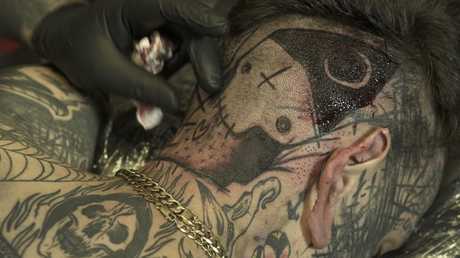 "I'd say about 75-80 per cent of my body is tattooed." Also unsure of the exact spend of his various modifications, Mr Bramble estimates that he has spent within the region of $15,000 to $20,000 dollars and the most expensive was getting his eyeballs tattooed. He said the procedure was very risky "because it can easily go wrong and you can end up being blind". "When I got my eyeballs tattooed, my mum couldn't look at me for like a month without getting tears in her eyes," he said. "But they just learned that I am going to do it anyway." "About seven days after the procedure not being able to talk, eat or drink was tormenting me," he said. "I had to lay in bed for three or four days." "It can set you back from being happy with the way you look," he said. "But you learn to push past it and be like 'they don't get to say that about my life, they don't get to be a part of it' so just do what you want to do. "You realise when you look like this that there are going to be certain downsides and not everyone is going to treat you how they should. But it's nice when people do treat you properly." Girlfriend Jade Randazzo approves his look but admits that there are few things that she doesn't like about her partner's appearance. "I don't like the stitches on his mouth, just because I am personally afraid of clown demons," she said. "I have always known him with a lot of tattoos and I have always been attracted to him with a lot of tattoos," Ms Randazzo said. "So that is just Ethan to me." Mr Bramble said he likes the way he looks and has no intention of stepping away from the needle and knife - although he admits there's not much skin left on which to tattoo or modify. "I think genital implants to me is just being very courteous to your partner or the opposite gender, also I just like bumpy things under my skin," he said. "It's quite an easy, painless operation, so why not?" Claiming he has no regrets with any of the procedures done, Mr Bramble says his appearance hasn't changed who he is. "When I look in the mirror I just see myself," he said. "It's not like I see a monster or someone else - a different person. "It's just me at the end of the day. It is not nice to live in the shadows, so just express yourself 100 per cent. "No one wants to live their life not being seen, not being recognised. I like to stand out."